By David Whinyates on 2019-02-14 - David is one of the UK’s most experienced motoring writers and was instrumental in setting up the Driving Force syndication service for Britain’s biggest regional newspaper group. 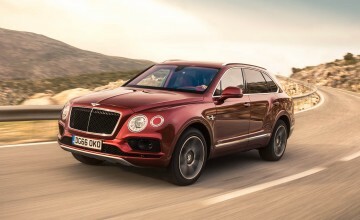 Former Chief Motoring Editor of Trinity Mirror Regionals, he is Driving Force’s Consultant Motoring Editor and a director of Driving Force Media Ltd.
BENTLEY is raising the stakes in the race to produce the world's most desirable SUV with a new high-performance version of the Bentayga which it claims is the fastest production SUV on the planet. 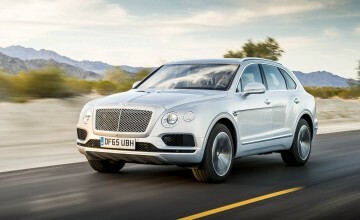 And with a top speed of 190mph and a 0-60mph sprint time of under 3.9 seconds, we see no reason to dispute the company's claim for the Bentayga Speed which will be given its global launch at the Geneva motor show next month before going on sale later in the year. The six-litre W12 twin-turbocharged engine has been boosted from 600 to 626bhp, top speed increased by 3mph and 0.2 of a second shaved off the 0-62mph sprint time. 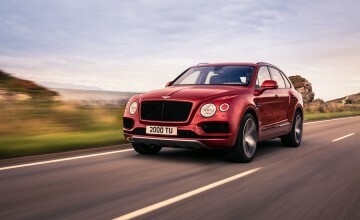 As with the ‘standard' model, the Bentayga Speed is equipped with four dynamic driving modes - from Comfort to Sport - but uniquely in the Speed, the Sport mode has been recalibrated to enhance response from the engine and the eight-speed automatic transmission, as well as the uprated and firmer suspension and dynamic ride system. To match the elevated levels of performance, the Bentayga Speed sports a purposeful exterior look. 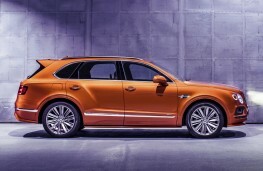 It comes with dark-tinted headlights, body-coloured side skirts and a striking tailgate spoiler while the radiator and bumper grilles also get the dark-tint treatment and there's a choice of three unique 22-inch wheel finishes. Inside, the Bentayga Speed introduces what the company calls a ‘dramatic design theme' which includes the use of Alcantara materials for the first time in a Bentayga. Customers will be able to personalise the Bentayga Speed to their own requirements with a range of exclusive options. Among them are carbon ceramic brakes, 22-way adjustable front seats with massage function, carbon fibre fascia panels, a rear-seat entertainment system and mood lighting.